Clare Reed has over 20 years teaching experience, mainly in inner-city schools working across the Primary phase as a class teacher, language specialist, Science Coordinator, Learning Mentor Manager, Performing Arts Coordinator, Literacy Coordinator. Since 2006, Clare has been a Speech, Language and Communication Consultant. She has been involved with the development and design of Talk Across the Curriculum, nurturingtalk@primary, talkingpartners@primary, talkingpartners@secondary, Talk Volunteers, Talk4Maths and Talking Families. Clare now provides training and consultancy in these areas plus bespoke speaking and listening training for Quality First Teaching. 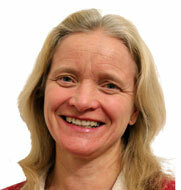 Clare is also a trainer and consultant in Liverpool’s Talking Maths and Elklan’s Language courses. Clare has worked extensively with Local Authorities, educational establishments and schools across England. She has also delivered Talking Partners in Canada and Thailand. The programmes that Clare offers support the development of speaking and listening skills to enhance children's learning and can be adapted for working either at whole class level, small groups or with individuals. They are all based on proven good practice of how children learn, i.e. modelling good practice, linking their learning, using and applying their thinking skills, knowing how to reach their target and then knowing the next step, making it real, knowing the audience etc. To talk to Clare about Speaking and Listening programmes, call on +44 (0)7973 324335 or email clare.reed@educationworks.org.uk. You can also follow Clare on Twitter @talkingpartners.